[Editor’s note: As the 2016 election season in North Carolina shifts into high gear, few issues are subject to fiercer debate than the state of the economy and the wellbeing of average North Carolina workers and their families. 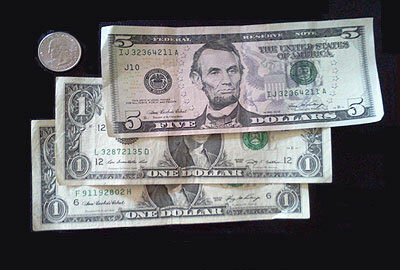 In particular, the minimum wage, which has remained stagnant at $7.25 per hour in North Carolina since 2009, is often a prime topic of discussion. The failure to enact a robust state minimum wage and a lack of income growth for most workers are leaving far too many North Carolinians struggling to get by. 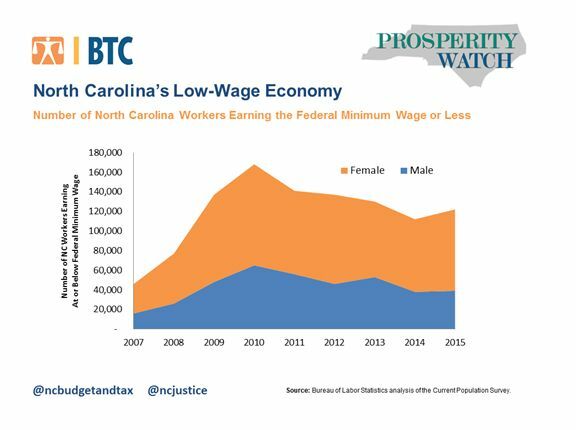 According to an analysis conducted by the Bureau of Labor Statistics, more than 120,000 North Carolinians earned at or below the minimum wage last year, an increase of more than two and half times from several years ago. Workers can earn less than the minimum wage under specific circumstances for workers with disabilities, full-time students, youth under age 20 in their first 90 consecutive calendar days of employment, tipped employees and student-learners, according to the U.S. Department of Labor. Women continue to constitute the bulk of very poorly paid workers. With women making up a large share of workers in low-paying industries like restaurants, hospitality, and personal care, there were over 80,000 mothers, daughters, and sisters earning at or below the federal minimum wage last year. With much of the political attention focused on the struggles of male blue-collar workers in the post-recession environment, the public debate tends to ignore how much of the low-paying work in North Carolina is still done by women. Workers getting paid the federal minimum wage of $7.25 or less make up a larger part of North Carolina’s workforce than all but a handful of states. Nationally, 3.3 percent of workers earned the federal minimum wage or less in 2015, a group that makes up over 5 percent of North Carolina workers. The only states where a larger percentage of hourly paid workers earn at or below the minimum wage are Louisiana (6.4 percent), Mississippi (6.2 percent), Virginia (6.2 percent) and Alabama (5.6 percent). Some of the increase seen here initially resulted from the last time the federal minimum was raised, going from $5.15 in 2007 to $7.25 in 2009. North Carolina used to have a state minimum wage that modestly exceeded the national minimum wage, but we have since joined the list of states that do not expect workers to be paid anything above the federal floor. As a result, a much larger share of workers in North Carolina are struggling to get by on hourly wages that don’t pay for the basic necessities in 2016. A lack of progress on the state minimum wage is particularly troublesome given the lack of wage growth that has occurred for North Carolina workers at the low end of the pay scale. If wages were growing for low-income workers, we would see a marked decline in the number of workers earning at or below the federal minimum regardless of where the state sets its minimum wage. Instead, the number of people earning the federal minimum wage or less has been above 100,000 every year since 2009. This crisis of low-paying work is a stain on North Carolina’s economic record, and an impediment to future growth. We have the tools to ensure that an honest day’s work pays a living wage; the question is when we will muster the will to do something about it. Patrick McHugh is a Policy Analyst at the North Carolina Budget and Tax Center.